A challenging period in anyone’s life is winter months and having a warm home. A portable radiator heater is always the best option especially when it is an oil-filled heater that will be the best cost-effective method to heat your home. This is certainly one of the biggest draws for anyone as you can move them around from one room to another with ease. 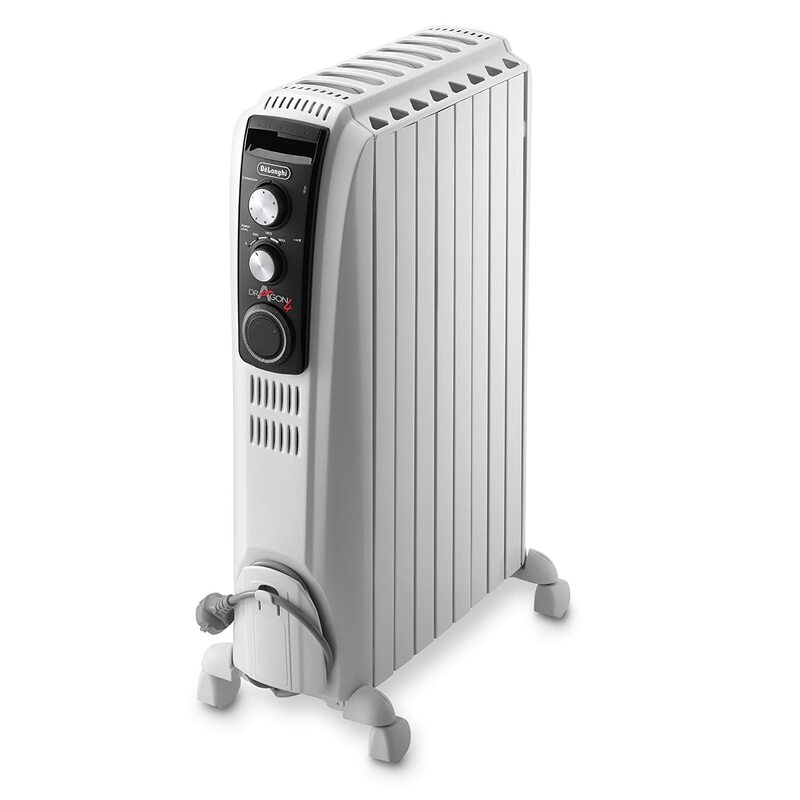 Even though they are portable, they are very powerful and capable of heating a large space. The fact that they are portable also ensure that you do not have to drill holes in your walls to fit other types of heaters. They rest on any surface and have wheels making them even easier to move about the home. They are fairly light, and anyone can move them when they are not switched on. An oil heater is one of the safest heating types of appliances on the market. Pets and children can interact freely with an oil heater in your house. Even when you set it at its highest, the columns and the fins can never get so hot that it will burn you. This is due to it using convection technology. Oil-filled radiators also feature tip-over technology and this will shut then down if they did fall over for some unforeseen reason, thus prevent fire. When you shop for a heater this is one of the first things you look at, a tip-over switch. The fact that it uses oil makes all the difference as oil stays longer hot than any other form of heating or water. Even when you turn the heater off, the oil inside remains hot and keep the room warm for longer. When you plug it in, the electricity interacts with the heater’s resistor and this is how the oil is heated up. It works in the same manner as a hotplate, stove and more. In addition, it has oil which a hotplate, for example, does not have. Now that you are considering an oil-filled radiator it is time to see what matters most and what the key characteristics are to be on the lookout for. You need to look at your budget first and keep in mind that the better it is and the more features it has, the higher the price. The power matters as you do not want to pay for a heater that does not provide enough heat. The size of the room that you intend to heat also makes a difference. 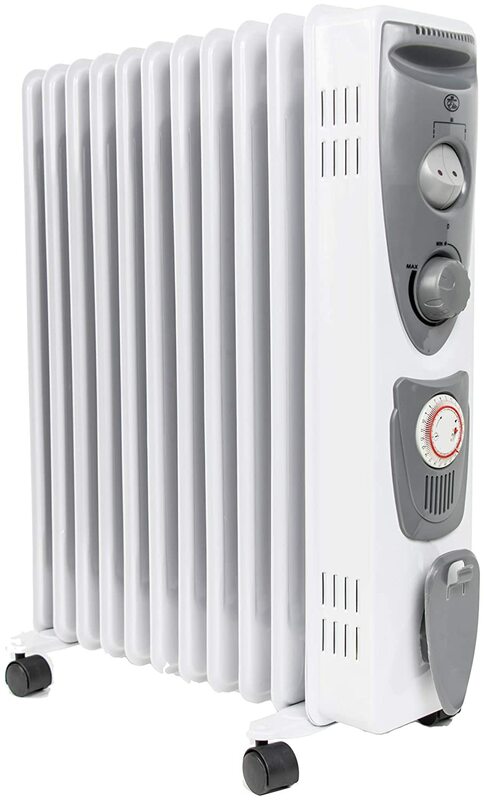 Usually, a radiator heater has a power of between 1500 and 2500 watts while you will seldom get an oil-filled radiator above 2000 watts especially when it is for home use. The minimum wattage you should look at is 600 watts. The heat settings are important as it determines your comfort level as well as ease of use. Some have buttons while others have a digital display. You could also look for a heater with timer functions, but keep in mind that too much digitization could be trouble too as this type of software and display will be pricey to fix. The heater should have a thermostat with a minimum of two temperature settings. It is important as it will switch off the heater when it reaches a certain temperature. The design is important as well and it is more than only colour options. Keep in mind that it will stand in the middle of your living room in all probability and you do not want a monstrosity in the middle of your fancy décor. Besides looks is the size and design important as it will tell you how much liquid it can hold. The larger the body the longer it takes to heat up and cool down again as well. It depends on personal preference whether you want larger or more compact. The Prem-I-Air is an excellent buy with a 24 -hour setting and adjustable temperature regulator. The three heat settings ensure that you do not waste power but set it at your desired heat where it will remain. Should anything unforeseen happens, it does have a safety cut out that will turn it off when it reaches its temperature or in case it topples over. It is easy to move around with both a carry or push handle and four castor wheels. The Prem-I-Air is ideal for various uses from homes to large office spaces, bungalows as well as workshops. The interior pipes will not freeze in harsh UK winters with the integrated frost protection control. The Pro Breeze is an excellent purchase with its four heat settings, 24-hour timer and digital LCD display. It is packed with features and technology that enables you to use it in small and larger spaces. It will even work well in a large office with its powerful 2500 watts output. Other heat settings for smaller spaces are 1000W and 1500W. It has 10 heating fins that ensure the heat is emanating fast while it keeps the room warmer for longer. It is one of the few oil-filled radiators that comes with a remote control for easy managing of temperatures. 24-hour timer allows you to set it to come on a specific time that will ensure you walk into a warm house after work. You have complete control over your home’s heat with the Pro-Breeze. It has a remote control that is simple to use and four variable heat settings. Your chosen temperatures are reached fast while it will maintain its heat long after it is turned off as well. It also comes equipped with an ECO mode that will keep the radiator on until it reaches the pre-set temperature and then automatically switches off. The De’Longhi is sturdy and powerful with a white finish that suits any décor. It has variable heat settings that allow for temperature adjustment according to preference. Even on the lowest setting, the room heats incredibly fast. This is due to its chimney effect technology.it has excellent functional features including a power cut out that will stop it from overheating. It comes with a thermostat and a timer as well that you can set for a 24-hour period. The Dragon has a smooth, safe and elegant profile with pre-assembled wheels as well as a cool to the touch carry handle that makes moving it around very easy. It is the ideal heater for places of up to 60 square metres. 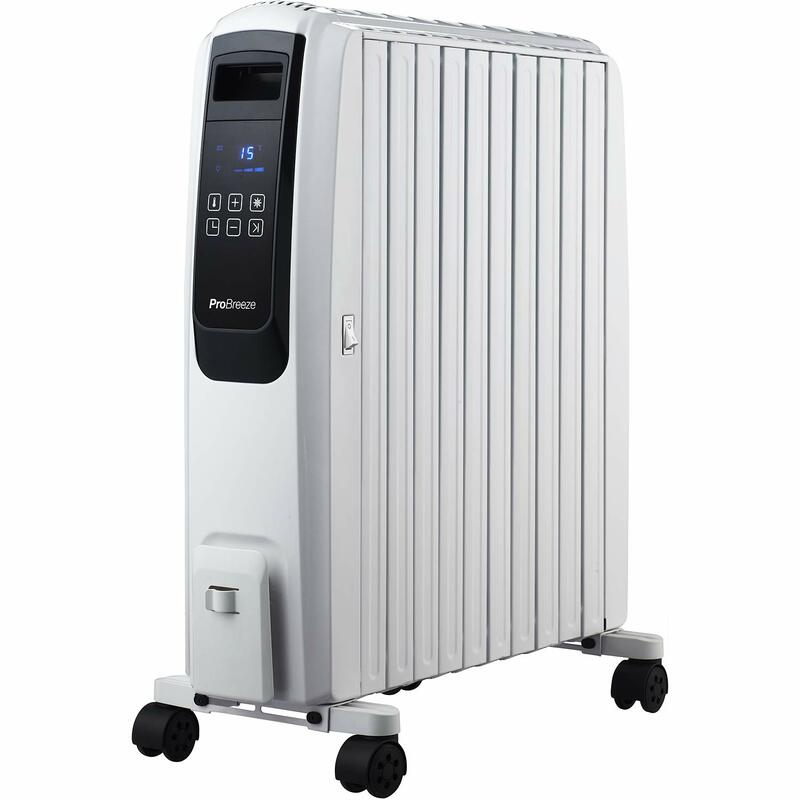 The De’ Longhi is the perfect oil-filled radiator for overnight use as you will not have to worry that it overheats or be a fire hazard. It has a timer and temperature control that you can pre-set at a specific temperature.